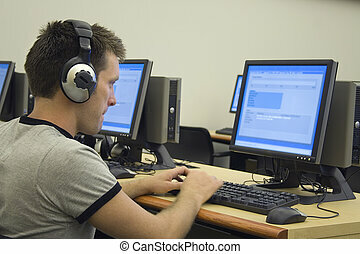 College student. 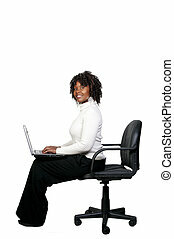 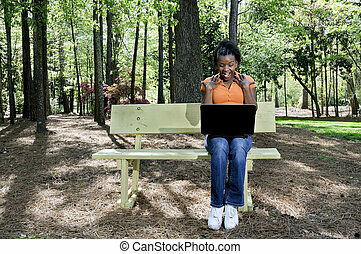 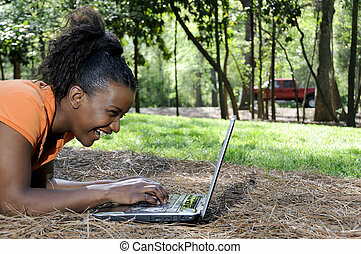 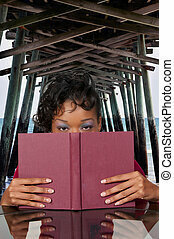 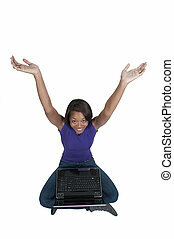 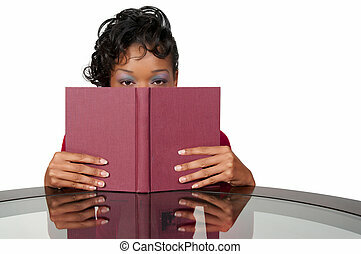 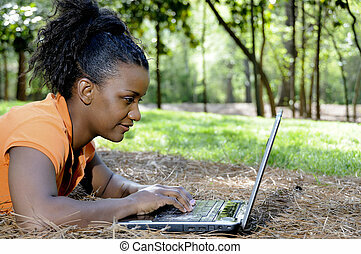 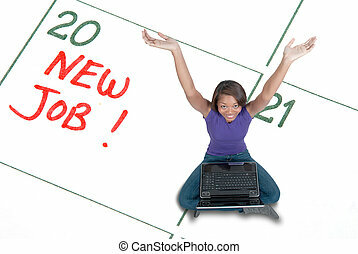 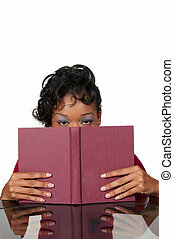 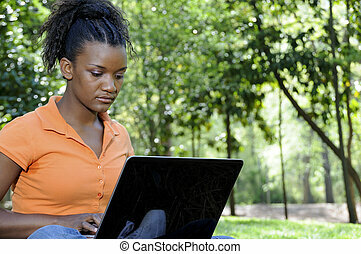 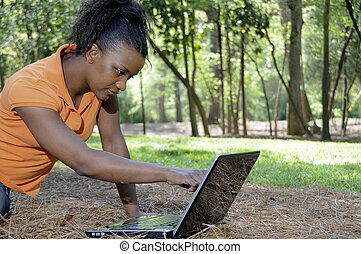 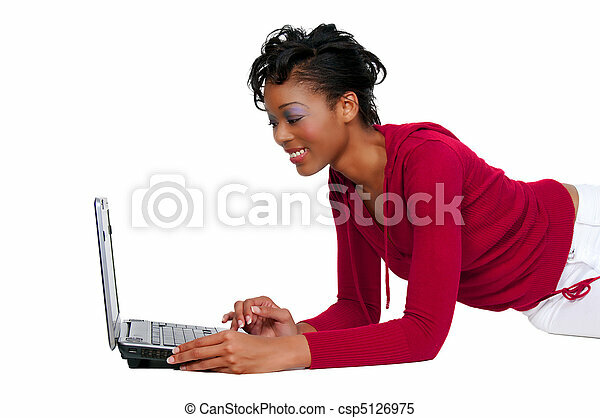 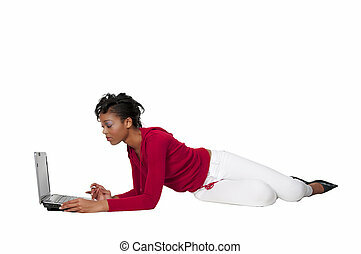 A black woman college student working on a laptop. 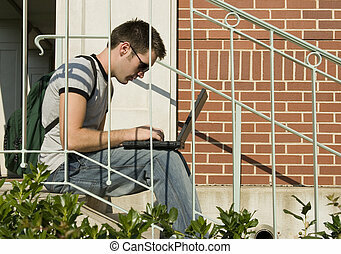 College student sitting on stairs. 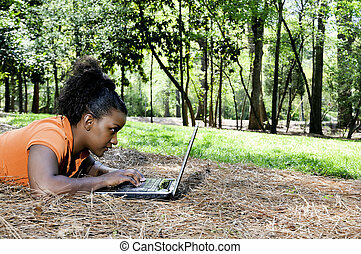 College student with books and laptop. 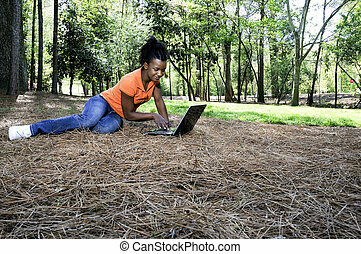 College student on campus with laptop. 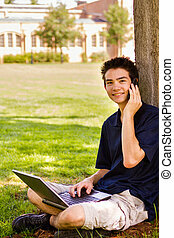 College student on steps with laptop. 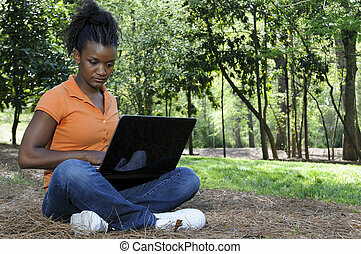 College student with laptop on campus.